Contents: 1. Introduction. 2. Production geology of fractured reservoirs. 3. Use of production data in fractured reservoirs. 4. Recovery mechanisms in fractured reservoirs. 5. Simulation of fractured reservoirs. 6. 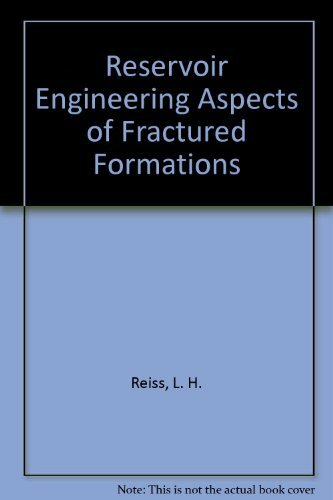 Application to the development and exploitation of fractured reservoirs. Appendices. Well logging in fractured reservoirs. Well performance and well tests in fractured reservoirs. Relationship between the fracture parameters. Compressibility of fractured reservoirs. Multiphase flow in fractured reservoirs. Mathematical simulation of fractured reservoirs. Bibliography. Index.